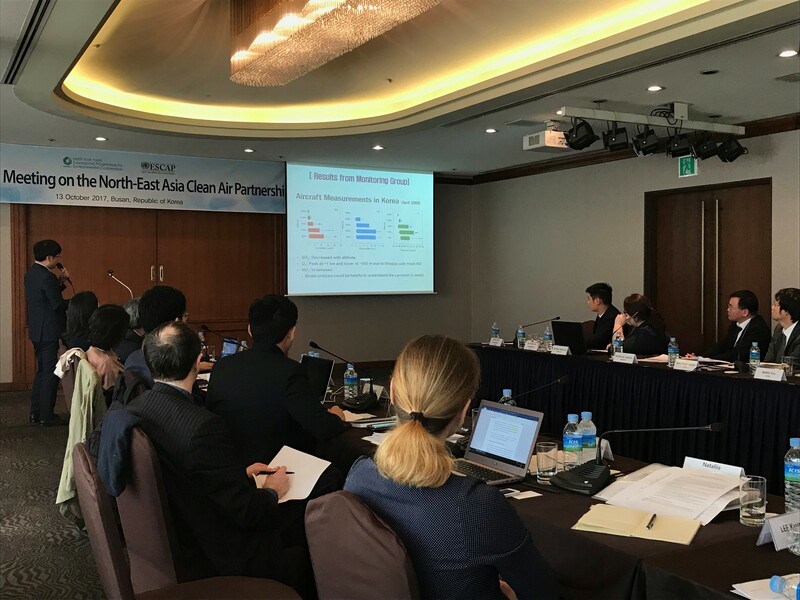 The Consultation Meeting on the North-East Asia Clean Air Partnership (NEACAP) was held on 13 October 2017 in Busan, Republic of Korea to finalize objectives, core programmes, and organizational structures of NEACAP. ESCAP in the capacity of the Secretariat of the North-East Asian Subregional Programme for Environmental Cooperation (NEASPEC) has worked with member States to develop a comprehensive subregional framework on addressing air pollution in the subregion over last five years. The Meeting came to the conclusion on the framework, NEACAP, by finalizing the terms of reference, which will be formally adopted by the 22nd Senior Officials Meeting of NEASPEC to be held in 2018. Despite heavy costs of domestic and transboundary air pollution in North-East Asia, the subregion has not been able to formulate a subregional platform that brings all countries and major issues. Thus, this new partnership under NEASPEC is expected to serve as a key vehicle to promote science-based, policy-oriented cooperation.